Today’s post is about a paper from Michael Johnston of the Centre for Policy Studies. The paper calls for additional protections for savers in the light of the upcoming pension changes. 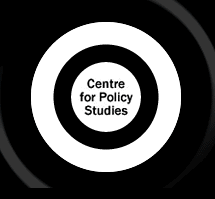 The Centre for Policy Studies (CPS) is a right-wing think tank set up by Sir Keith Joseph and Margaret Thatcher in 1974. Their general principles are about supporting a free society – limiting the role of the state and encouraging enterprise, the family and voluntary organizations. They have promoted privatisation and low-tax government. 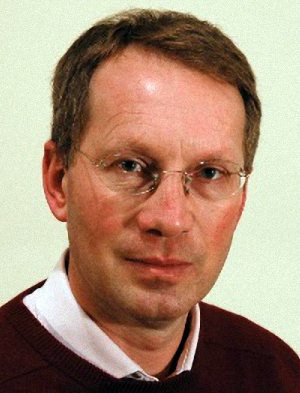 Michael Johnson is a Research Fellow at the Centre specialising in pensions. He previously worked for JP Morgan and Towers Watson. He has also worked for the Conservative Party, serving Ministers and shadow Ministers, the DWP and the House of Lords . Johnson had recommended as long ago as 2010 that the requirement to annuitise should be abolished (the key reform about to be introduced). So are pensions finished? We’ll try to answer that question after taking a closer look at the report. The new pension freedoms mean that people risk running out of money before death by takling lump sums out of their pension savings. Savers also run the risk of giving their money to fraudsters. The tax-free 25% lump sum discourages savers from “securing a pension” ie. buying an annuity and should be abolished. The establishment of a national annuities auction house to help with shopping around, effectively making the Open Market Option mandatory. All annuity providers would be forced to participate and small pots would be aggregated to improve bids. “Auto-protection”: a default inflation-linked annuity product at pension age (55 for DC schemes) which savers would have to opt out of. Raising the private pension age rapidly to 60 by 2024 (by a year every 2 years) and to 65 by 2030/35. Tax incentives to defer taking a pension for five years after the private pension age (pension exempt from income tax). This would be funded by reducing upfront tax relief. Integration of pensions guidance into the auto-protection process. State pensions (annuities) offered via National Savings / the Post Office. Access to the 25% tax-free lump sum delayed until age 60 or 65, or scrapped entirely (with accrued rights protected). This has got to be the most wrong-headed report I have read about pensions since the new reforms were first described. To see it produced by a organisation committed to freedom and small government is baffling. Its proposals are based on a principle with which I fundamentally disagree: namely that annuities are a good thing for people under 75. See here and here for my previous posts explaining why they are not. This report reads as if financed by the annuities industry. I have no objection to the annuities market being made more transparent, or to annuities being offered by the Treasury, but annuities at age 55 offer extremely poor value to savers and should not be encouraged. The report also ignores the elephant in the room: people are not saving enough for their retirement and need to be encouraged to do more, not to be put off the idea. Pensions are the most efficient vehicle for long-term saving (see here) but this depends on tax relief up-front and the tax-free lump sum. Removing reliefs and increasing restrictions on access will make pensions uncompetitive against houses and ISAs. Treating retirement income as a problem to be faced at age 55 is an error. We need to engage people with the problems of lifetime personal finance at an early age. The consequences of bad decisions at ages 25, 35 and 45 are far more significant. The government’s role in retirement income would be better served by the creation of a low-cost multi-asset fund with state guarantees, to form the basis of the auto-enrolment programme and undermine the parasitic costs of the investment industry. This report’s proposals will simply make a pension like an ISA, except with restricted access to the money and a tax-incentive that can only be triggered by buying an annuity after the age of 60. If enacted they would indeed mean the end for pensions – let’s hope that those in positions of power will ignore this report. 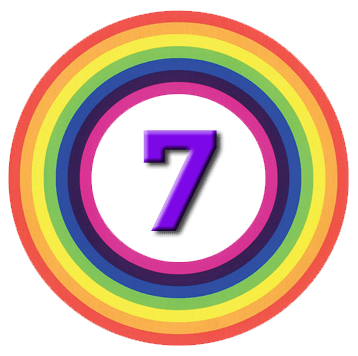 7 Circles > Decumulation > Pensions > Are Pensions Finished?